Hi there. 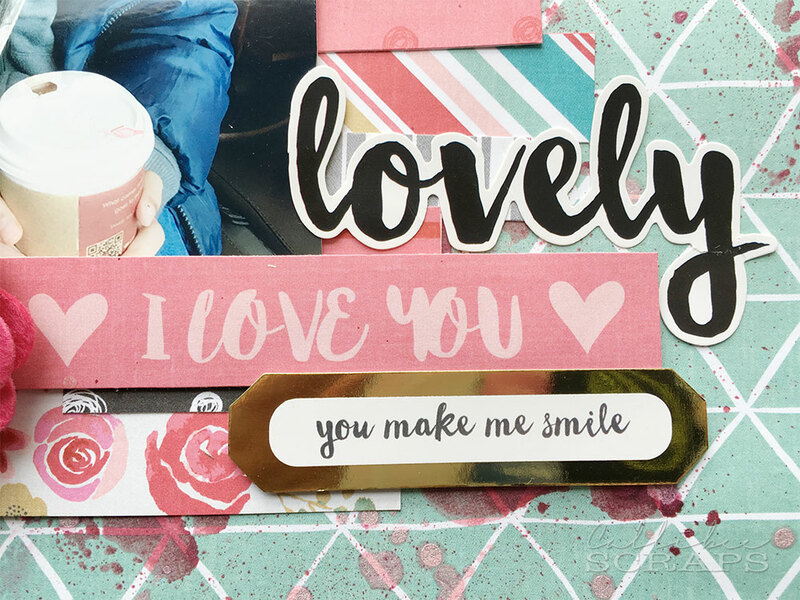 Happy international scrapbooking day. 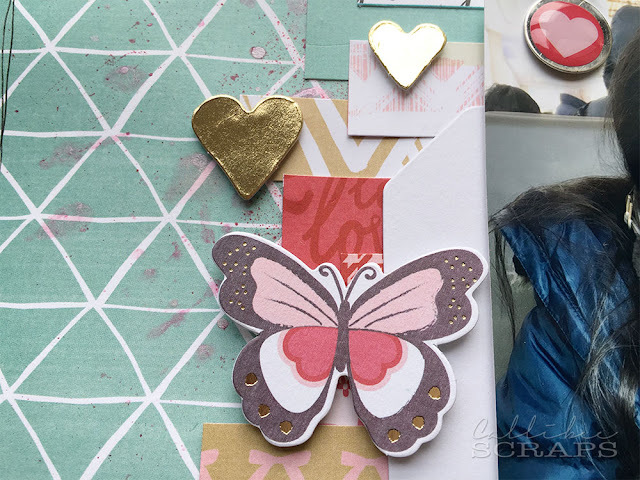 Not to be confused with national scrapbooking day in the US (that one is in May), this one is world wide and for once, I am actually on time for it. I actually managed to honour the day and complete a couple of layouts. Yay. 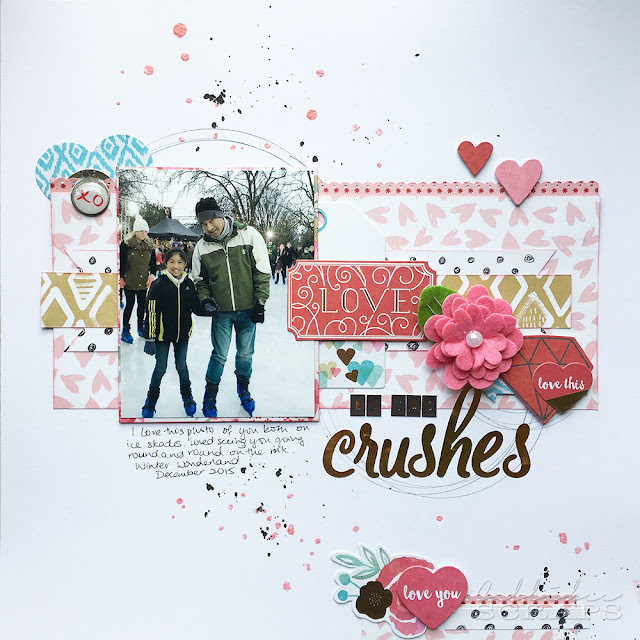 I decided to use the Valentine's MCS kit for these two layouts. I just love the colours and patterns. I used a bold turquoise for the background as a foil for the pinks and reds. The sweet photo was taken on the coldest day of the year, hence all the clothes and the yummy hot chocolate. I love the the little elements in the pack and the cute gold accents. I splattered red and pink ink on the background before layering on the strips of patterned papers. 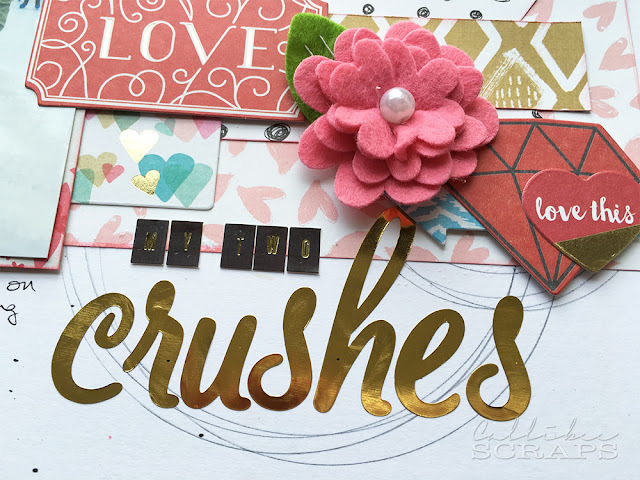 I love the gold glitter words which I used as the title. 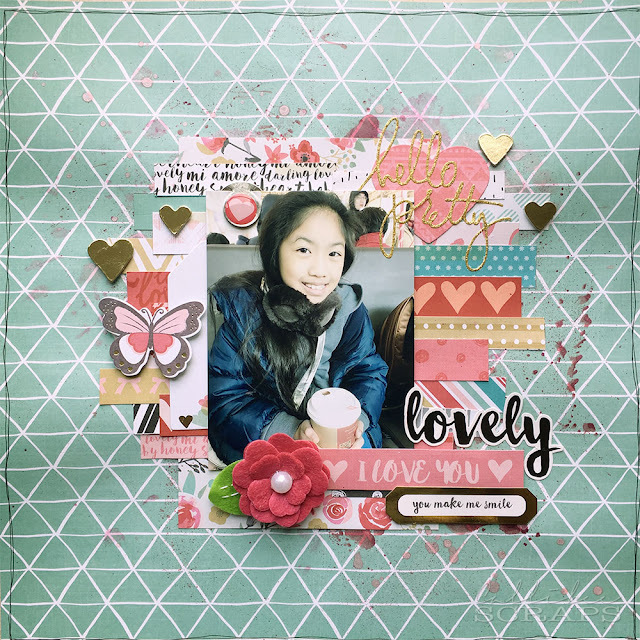 I did this layout from a sketch I found on pinterest. 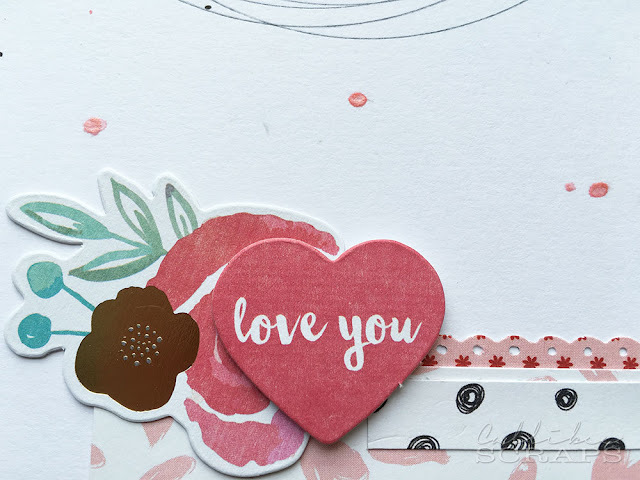 I love all the hearts in the paper collection. The photo was taken in December when we went to an outdoor skating rink in Hyde park. I drew circles on the white background before layering on the papers and embellishments. Gold is still a big trend this year and I'm loving it. Love the gold flat alphabet stickers. A small accent on the bottom edge completes the layout. 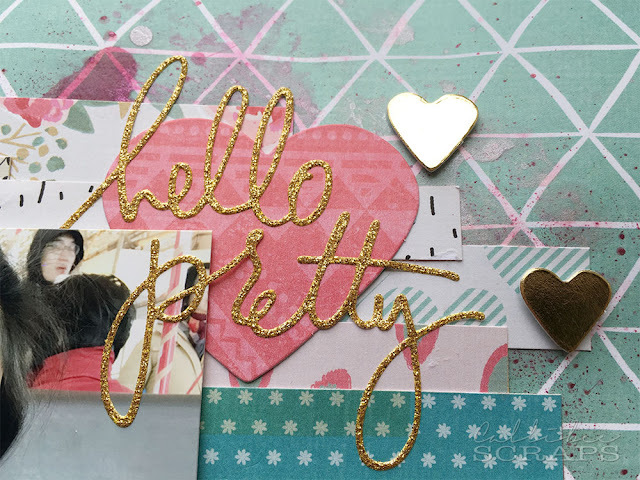 So go ahead and celebrate the day in style by creating a page or two.